The aims of this project is to enable individuals with a Learning Disability to reach their full potential as part of our Personalisation ethos. 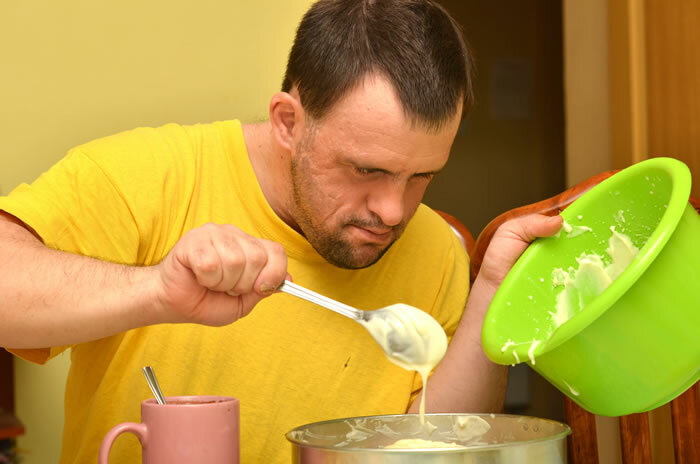 Our project provides individuals with the opportunity to develop their independent living skills as part of enabling the individual to reach their full potential. This could be a variety of skills to enable the person to move onto more independence e.g. as part of moving from the family home or Shared Lives to Supported Accommodation. The skills development would therefore include a whole host of areas such as meal planning, cooking, budgeting, money management, shopping, personal safety & travel training, etc. Or it could be helping the individual to develop one of more skills as part of developing their independence or confidence in a certain area e.g. travel training & personal safety. This enables an individual to stay in the house, as part of a trial. This would allow us to assess the individual’s current skills & establish their skills deficit that would enable them to reach their specific goals or work towards the next step to reaching their full potential for e.g. living independently. All the skills required would be identified in the individuals Support Plan, after careful & in-depth discussion with the individual & key people, on the individual’s aspirations, as part of their assessment. • Managing money & budgeting, (paying bills), etc. This is by no means an extensive list but gives an idea of skills we can help the individual to develop. As part of Personalisation, it could be that the individual requires some skills not listed above, so please feel free to ask so we can discuss the requirements & explore how we can deliver.